If you have both a WordPress site and a YouTube channel, you might want to integrate these platforms. One way is by simply posting your videos on the website, but you can also use a YouTube subscribe button to get more subscriptions for your channel. In this article, we’re going to start by talking about why you should add a YouTube Subscribe button to WordPress. We’ll then show you how to do it in two steps. Let’s get to work on getting your channel more views! However, that simple style can play to your advantage since it means they fit in with almost any site design. Meanwhile, the recognizable red color will ensure they still stand out, just like a Call To Action (CTA). That’s good news since it means you can add a YouTube Subscribe button right alongside your other social media icons on your website. Using a YouTube subscribe button on your site is a smart way of increasing the number of subscribers without taking people off your site. This is particularly good if you already embed videos on your site. It also makes it easy to promote your channel on a medium besides YouTube itself. If you have a YouTube channel, you can a subscription button to your site using a widget, on your main menu, or pretty much anywhere else you want. Let’s talk about how to do that. For this process, we’re going to generate a YouTube Subscribe button manually and then embed it into a website. Before you proceed, you should naturally have a YouTube account ready as well as your channel’s ID. After this, the remaining options enable you to customize the button’s appearance. You can select a layout, a theme, and choose whether to show or hide your subscription count. That option could be a good fit for a dark footer area. As always, the choice of how to style the element is up to you! It’s also worth remembering that you can generate multiple buttons for different areas of your site. When you’ve settled on a style, you can select whether or not to show your Subscriber count. Generally speaking, there’s no right or wrong selection here. For instance, you might want to hide your subscription count if it’s still low, or if you want the button to be cleaner. However, if you already have a lot of subscribers, showing this off can be a subtle selling point in itself. Next up, we’ll check out how to add that code to your website! There are more options at your disposal when adding a YouTube Subscribe button to your website if you’re a Divi user. Options that gives you greater control over its placement. We’re talking, of course, about Divi’s Code module. Save the changes to your page and you’re good to go. Your YouTube Subscribe button should show up on your front end where you specified. Which approach to use is up to you. Ideally, your WordPress website and YouTube channel should drive traffic to each other using social media icons and links. However, you can always take this further by adding a YouTube Subscribe button on your site. This way, visitors will have an easier time subscribing to your channel, which will benefit both of you. 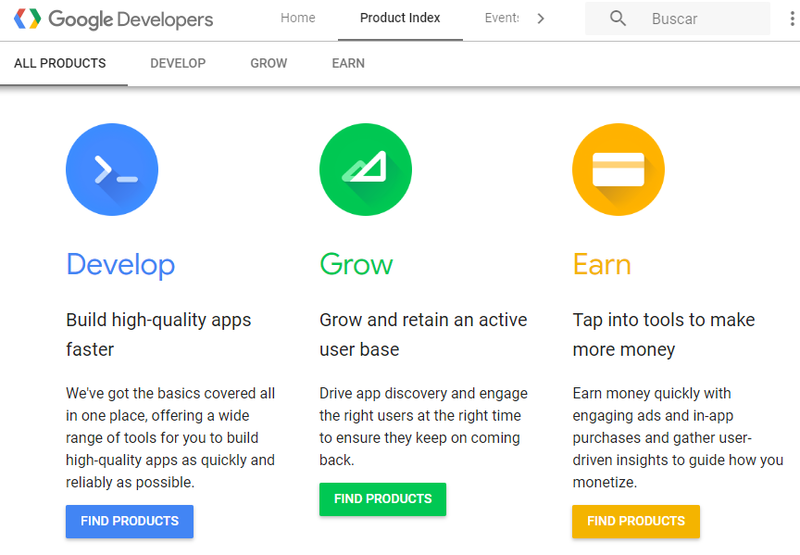 Configure your YouTube Subscribe button using the Google Developers platform. 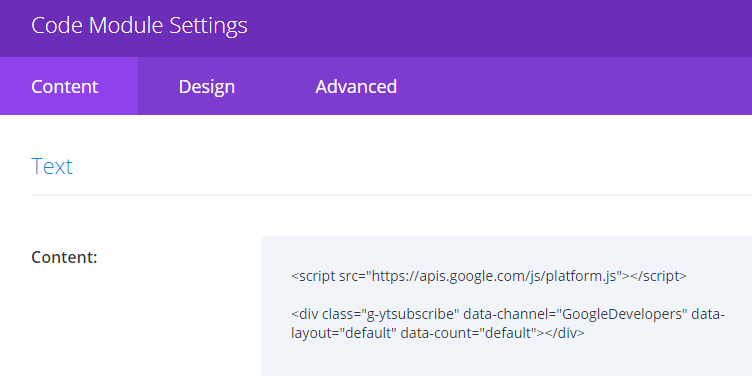 Add your embed code to WordPress using either a widget or the Divi Code module. Do you have any questions about how to integrate WordPress with YouTube? Let’s talk about them in the comments section below! Thanks John! This is exactly what I was seeking to get the subscriber count over 100 a get a custom name for the YouTube channel. Now is there any actual way of customizing the appearance of the button? I just use a Divi butting with the subscription link as it fits the design of the website then but you don’t get the sub count displayed. It would be nice if everyone if everything was easier. Has your testing showed any negative effects on website load time? If so, what are your recommendations to remedy this? This isn’t something I noticed when testing. I suspect this can become an issue if you have many similar buttons that require connections to external sites, but I haven’t found the YouTube button specifically to have any noticeable effect. This should be an option in Monarch!